An interesting study by Xplana, a "social learning platform", predicts the demise of the paper based textbook in higher education. 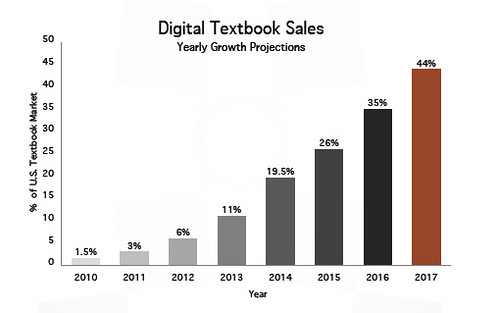 Over the next five years their projections have digital textbooks constituting nearly half of the textbook market. Among the factors cited are the phenomenal popularity of the iPad, booming e-reader sales (with 35 million Kindles alone expected to be in circulation by 2012), the popularity of textbook rentals and emerging standards for electronic textbook publishing. The study makes for fascinating reading and I recommend you take a look at the full report.